Marc D. Schlenoff, DDS, FAGD, is President of MDS Dental Solutions, a consulting firm focusing on the individual needs of dentists in all stages of their careers. He is a 1981 graduate of the University of Maryland Dental School, and has run a highly successful general dentistry practice in New Jersey since 1985. Dr. Schlenoff has been a clinical instructor and lecturer at the Rosenthal Institute Aesthetic Advantage at NYU for the past 11 years. He has taught hands-on courses at several American Academy of Cosmetic Dentistry meetings, helping practicing dentists master the latest techniques. As an attending dentist at Morristown Medical Center, he trains dental residents in clinical dentistry as well as in practice management, and was the first recipient of the Morton Wertheimer Award for teaching excellence. Dr. Schlenoff is also on the dental staff at the Weill Cornell Medical College in New York. 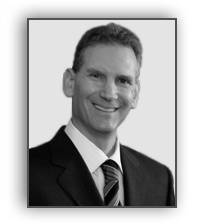 Dr. Schlenoff has written articles for various professional journals, including Inside Dentistry and Dental Economics. He has also completed a Certificate Program in Business Essentials from Rutgers University. The Consumer’s Research Council of America has named Dr. Schlenoff one of America’s Top Dentists for Cosmetic and Restorative Care for eight consecutive years. He is an active member of the American Dental Association, American Academy of Cosmetic Dentistry, and the Academy of General Dentistry, where he is a Fellow. Dr. Schlenoff has volunteered his time with Make-A- Wish Foundation, Special Olympics, Give Back a Smile Program, and Donated Dental Services.